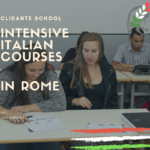 American students who want to learn Italian can choose Clidante and join one of the available courses. Clidante is an Italian language school for American students too, together with students of other countries. A wide range of Italian courses is offered by Clidante. American students can choose individual classes or group courses. In the first case, the student will have a personal teacher, instead in the second case the student will be in a group of students and will learn together with them. Group courses can be the occasion to meet new friends and maybe to find the twin soul too! Learn Italian with Clidante is a good choice according to the students that have already attended a course. Clidante’s teachers are professional and skilled and will be happy to satisfy all the requests of the students. 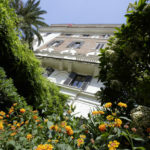 Lots of students from America have chosen this Italian school in Rome to learn Italian or to improve their language skills. This has made Clidante one of the best Italian language school for American students in Italy. 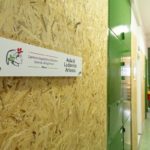 How to choose an Italian language school for American students? Before deciding to join an Italian course, there are some factors that need to be evaluated. First of all, American students should check that the course is thought also for them, so that they won’t attend useless classes. They also should be sure to find the courses they want. There are a lot of different Italian courses and each of them has various peculiarities. 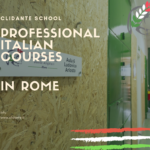 For example, Clidante school offers traditional Italian courses (individual classes or group courses), but also culture courses, cookery lessons, opera program, internship and online courses. 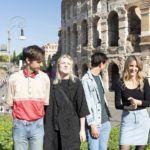 This Italian school in Rome has some special offers too! Another feature to analyse is the teaching method. Clidante’s teachers use the communicative grammar method. Each lesson has two parts: the first is written with some oral exercise, the second is oral. During the second part of the lesson, students will try to apply what they have learned, so that they will be ready to take advantage of their new language skills in everyday life. How to join Clidante school? If you want to become a student of Clidante, you should know that it’s very simple. You just need to complete Clidante enrollment form and choose the course you prefer. If you can’t reach the school in Rome, you can choose to learn Italian with online lessons via Skype.